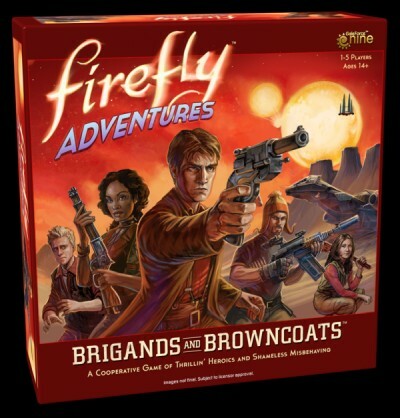 This cooperative game was released as an anniversary game to run alongside Firefly Board game, where as the original game deals with exploring the Verse in your space ships, this game puts you into the action of the missions with your characters miniatures. I am a big fan of the original game but I will admit it can take a while to set up, play and then set down again. This game is easier to set up and plays a lot faster, you can easily get a game in in an evening, in fact once you get used to the play you can complete a game in less than one and a half hours. The other good news is that they still have the feel 100% right for the tv show. One of the other things I like about this game is that the box contains boxes in it to keep your components in, but they are also used as buildings to be used with the boards, even the inner box is a building. 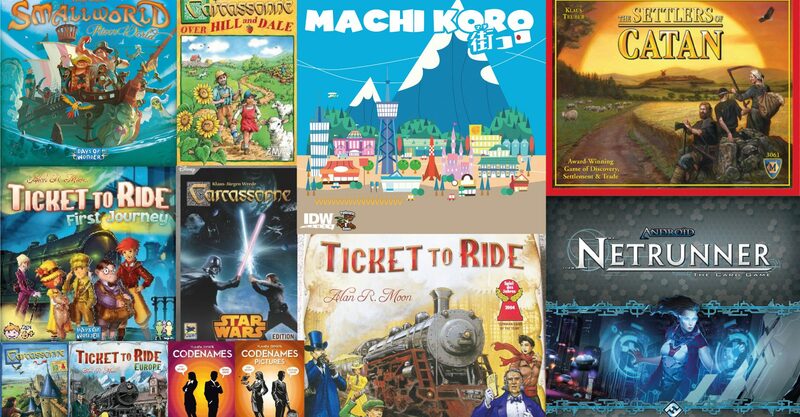 There are five of the main characters from the show in the game (each with two figures, one casual and one heroic) they are Mal, Zoë, Wash, Jayne and of course Kaylee. The jobs you do can be done as either part of a campaign or as a single mission, which gives you more options to match the play style of the group you play with. The jobs you do are the types of antics that you’d expect the crew to get into. You start the game with some money and then buy some of the equipment to help you complete the jobs, you then work together to try to complete the job. There are two modes for each character casual and heroic, depending on the way you play and the situation you are in you can swap from one to the other. You can creep in or run in shooting. The rooms have locks that you have to interact with to enter. You have goons and thugs that you have to either dodge and hide from them or just plain old shoot them.